Given I’ve just recently sold off all of my non-essential belongings my Christmas list this year is a little different than it has been in years past. In place of shoes and nail polish this year’s list is full of exciting things we still need for the boat. Santa is always very generous with our stockings, so I am curious to see just how many tubes of sunscreen and aloe I get. 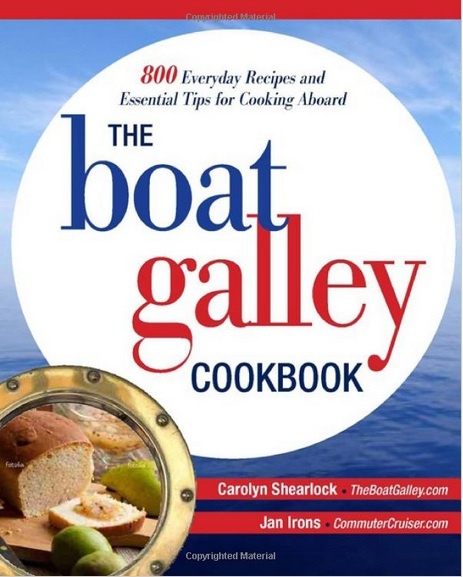 First up on my list is The Boat Galley Cookbook. I was skeptical of this book at first. I gave it a shot, downloaded the free sample of the book, but I wasn’t convinced this would be an essential item to keep on board. I consider myself pretty creative in the kitchen, I can look in the fridge and pretty easily concoct something from whatever I have lying around. So at first glance I didn’t find the recipes that creative or think they would really be very helpful. It wasn’t until I read this opinion of why the book is a “Must Have” that it moved from “Eh” to “Maybe I should definitely get me a copy.” Apparently when you’re sailing you can get pretty bored with all the cans of SPAM and rice you have in your lockers. Sometimes you just need someone else to tell you to add some magical ingredient to your meal to keep the crew satisfied. And, if Santa is bringing it for me its not like I have to buy it myself. Next up on my list is a Lock&Lock plastic egg carton. I know in the States eggs come in a fancy carton all of their own. But it seems that in foreign countries eggs aren’t even refrigerated (don’t worry, they are perfectly safe and actually stay fresh much longer), much less come packaged to help avoid crushing. This bad boy will keep us eating fresh eggs as much as possible. Next up on my list is really exciting. Go ahead, take a minute to prepare yourself. I’ll wait. It’s Method laundry detergent AND the refill packs!! I knew it would knock your socks off. This stuff is biodegradable so it won’t harm any animals if I happen to dump my used water into the ocean. It’s also 4x concentrated so it takes up a quarter of the space normal detergent would. It’s pretty much a win win situation. For me, and the fishes. I find it both exciting and depressing that I have detergent on my Christmas list this year. It’s exciting that I’ve cut out all the crap and a lot of materialistic items in my life, but also depressing that I’m asking Santa for detergent. If you want to play Santa this year or help me to get all those embarrassing items off my list, check out our sailing registry. I just caved and purchased the Boat Galley cookbook. Like you, wasn’t sure if I needed it because I do a pretty good job cooking in my galley. I’ve read through the book, and I do like some of the ideas and recipes (Thermos slow cooking, never knew that existed!). I think it’s worthwhile, and curious to see if you got the book. Will have to look around your blog for any updates. I did get the book. There are some things I think are great in it, and some that any experienced cook would know to do already. I made us the sweet and sour chicken (p279) today and it was really good! I used thighs instead, and brocoli instead of peppers because that is what we had on board. Keep me posted if you try any really good recipes. Also, thanks for the tip on that beer bread – it was incredible.